Stop spending money on electricity and youll be able to spend more on food! Studies done for the Texas Railroad Commission have shown that propane cooking appliances are more efficient than electric. Homeowners will spend about $86 a year on a propane range versus $98 on an electric range. 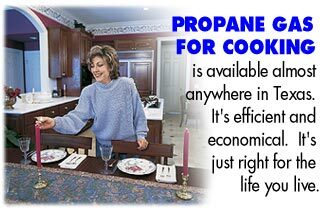 In your kitchen, propane is clearly the best choice.